Here you can access the first of Lotus Nei Gong International’s online training modules. These are designed to match the material taught within our School and essentially serve as either learning-aids for our existing students or as useful guidance for non-members of our school. Each module is designed to take a viewer systematically through the relevant subject with Damo applying his personal expertise developed over 30+ years of study and 15 years of teaching worldwide to ensure that the most important aspects of each exercise are covered along with common pitfalls and errors to watch out for. The videos are hosted on Vimeo-On-Demand and can be accessed by clicking on the links below. Please note that it is early days for us with regards to online tuition. We are experimenting with it as a media and so please let us know if it is something you have found useful. If it is, and the respond is positive, then we will start to release more training modules in this way. Each part of this 30-video instructional program teaches the foundations of Qi Gong practice in a step by step manner. This program is focused on the alignment and structure of the body with an aim to help new students understand how to free the body up from tension and to establish the body’s alignments so that the Qi can sink towards the abdominal cavity. It matches the foundation alignments that all new students to the school study with us when they first start out in Qi Gong or Nei Gong training. Over roughly five and half hours, Damo Mitchell explains the method of aligning the body for Wuji standing practice as well as the eight Ji Ben Qi Gong exercises taught to all beginners within the Lotus Nei Gong International school. Note that this is not just a ‘follow through’ video but rather, a detailed program for those who are serious about developing an effective Qi Gong practice regime. 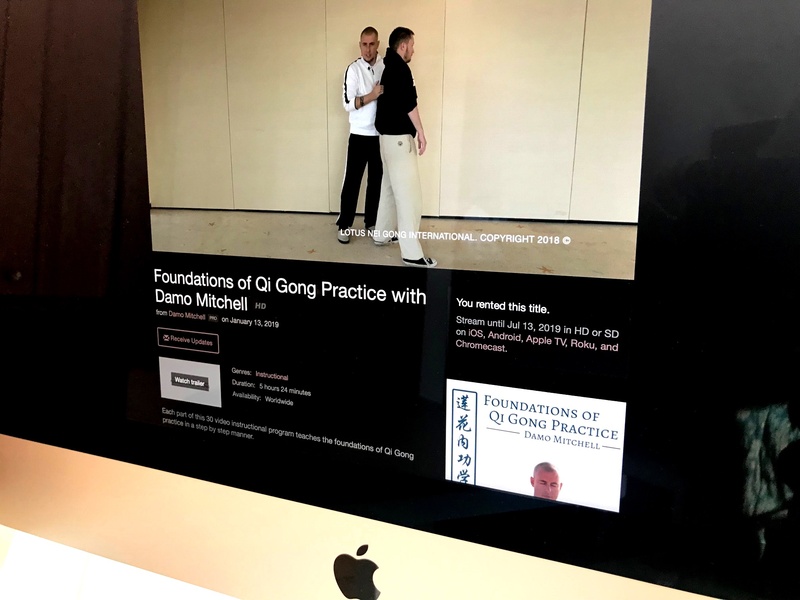 Click Here to visit the ‘foundations of Qi Gong Practice‘ online module. Coming soon is the second of our Online Modules. This module is focused on women specific Qi Gong practices. It is taught by Roni Edlund with some theoretical input from Damo Mitchell. Over the course of several hours, Roni and Damo break down some of the key exercises which women should add into their regular practice in order to harmonise Yin and Blood, two prime factors in the health and internal development of female practitioners of the Dao. Note that these Qi Gong exercises are not a complete practice in their own right. 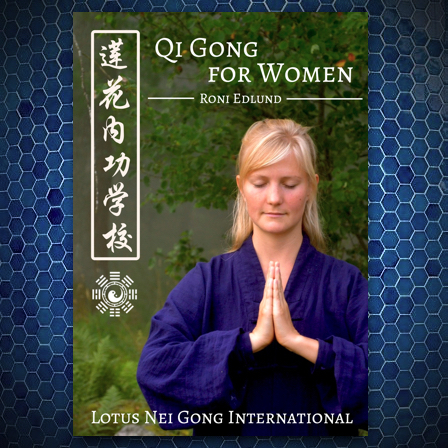 ‘Qi Gong for Women’ teaches exercises and principles that women would be wise to add into their repertoire alongside whatever their regular Qi Gong practice may be. For those wishing to learn from Lotus Nei Gong, we advise that this module be viewed as an adjunct to the ‘foundations of Qi Gong’ module. This program will be released in the next couple of weeks so please check back for details soon. The Dragon Dao Yin are a set of four sequences which can be taken apart to offer an entire system of Qi Gong and Dao Yin practice. 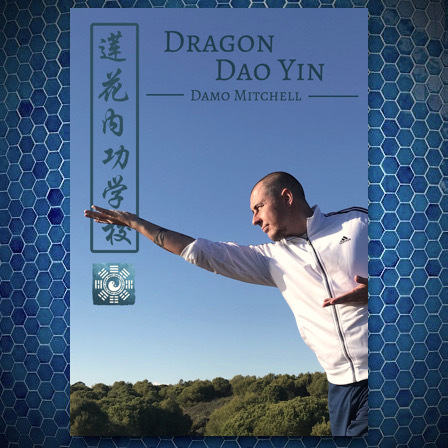 Damo Mitchell has been teaching the Dragon Dao Yin since early 2012 on workshops around the world and now, for the first time online, he is offering a complete video program on the subject. In great detail, each of the sequences is taken apart, demonstrated and explained with regards to the choreography and function of each exercise. There hasn’t been a more detailed program on these exercises to date. For those with an interest in Dao Yin exercises, this program explains how they function and shows how to exercise and prepare the spine for internal work, how to mobilise the Qi within the torso and goes into detail on the esoteric principle of ‘Dragon Plays with Pearl’. We advise that this program follows the ‘Foundations of Qi Gong’ if you are a beginner to these practices. This program will be released in early April or late March so please check back then.